Construction: Rollerdynamo (mounted under the bracket). Tested: From April 2007 to end of 2007 (when it was worn out). 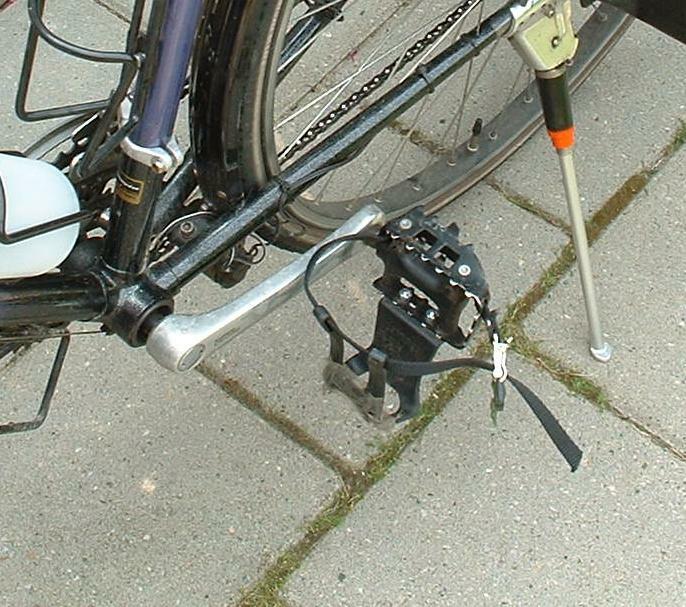 In spring of 2007 I bought a nearly unused second hand Koga World traveller with roller dynamo, and the dynamo held up pretty well. This changed after rain and a few cold days (a few degrees above freezing or less). After rain, various gunk (sand/leaves) stuck to the roller which I could scrape off with difficulty the next day. I had to scrape it off, because the vibrations this gunk caused went through the entire frame of the bike and were such that it was uncomfortable to cycle! In the cold it was even worse; on a 10 km ride I had to stop several times to scrape off sand and whatever else immediately stuck to the roller in the cold. The next problem was the bearings, the dynamo started squealing very badly after a period with rain. Oil helped but shortly after that it stopped working completely (that was after ca. 2500 km with the dynamo on). I opened up the dynamo after that and wasn't impressed by the construction, esp. the poor bearings. Addition 2 (2012-10-1): I received a recent report from someone who used this generator for many years without problems. He thought mine was a later version which were not so good, but no, mine is the original one mounted on the 1992 Koga World traveller, it was earlier than his one. He did say he had set it such that the force of the wheel on the tyre was high, which might help I suppose. But perhaps the roller wheel surface was improved? Very poor generator. Will perhaps last one winter.